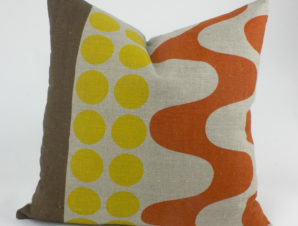 Home Cushions Spot and swirl! 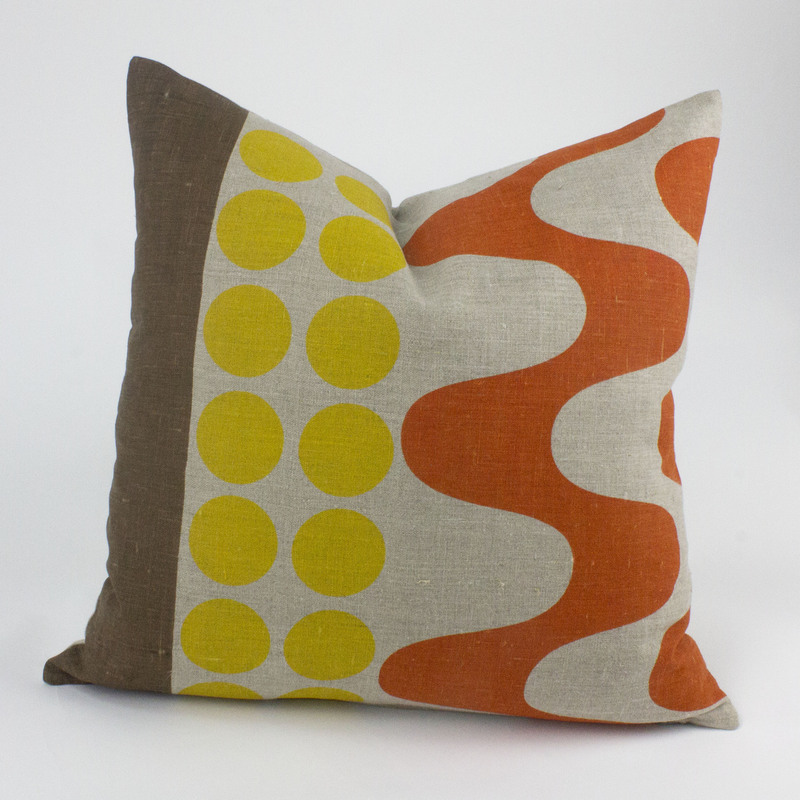 Chocolate, Orange and Ochre – it doesn’t get more retro than this! Hand printed by Bob in limited numbers – if we’re low on stock we’ll let you know that we’re busy printing and it’ll be coming your way asap! Printed on a 100% Linen and measures 48cm.